CARI AMICI DI MAPPE SCOLASTICHE, DA OGGI NEL SITO CI SARA' UNA NUOVA PAGINA "RACCOLTA MAPPE.PDF" DA CUI POTRETE SCARICARE MAPPE CONCETTUALI INEDITE(MAI PUBBLICATE NEL SITO) RACCOLTE IN CAPITOLI. 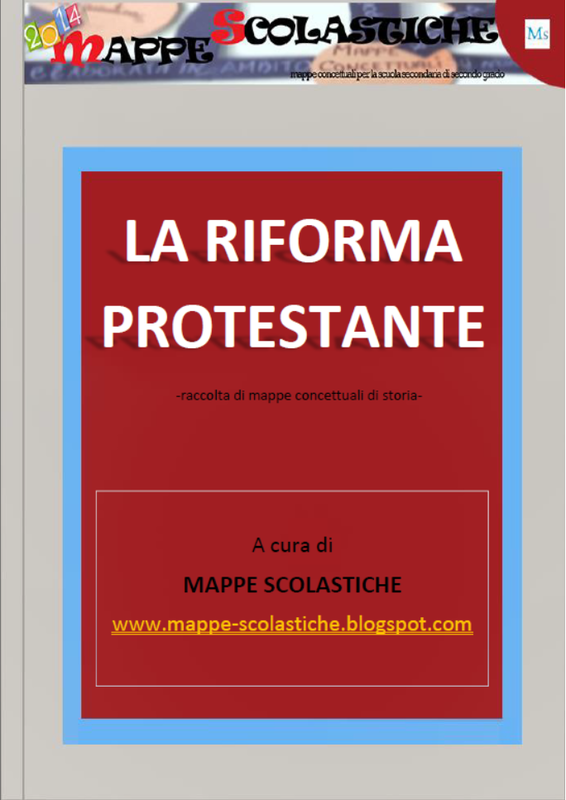 IL PRIMO EBOOK .PDF PUBBLICATO E' RIGUARDANTE L'ARGOMENTO DI STORIA "LA RIFORMA PROTESTANTE". PER EFFETTUARE IL DOWNLOAD BASTERA' PAGARE UN PICCOLO CONTRIBUTO PER IL LAVORO DI MAPPE SCOLASTICHE. COSA ASPETTI? CORRI A SCARICARE LA RACCOLTA!